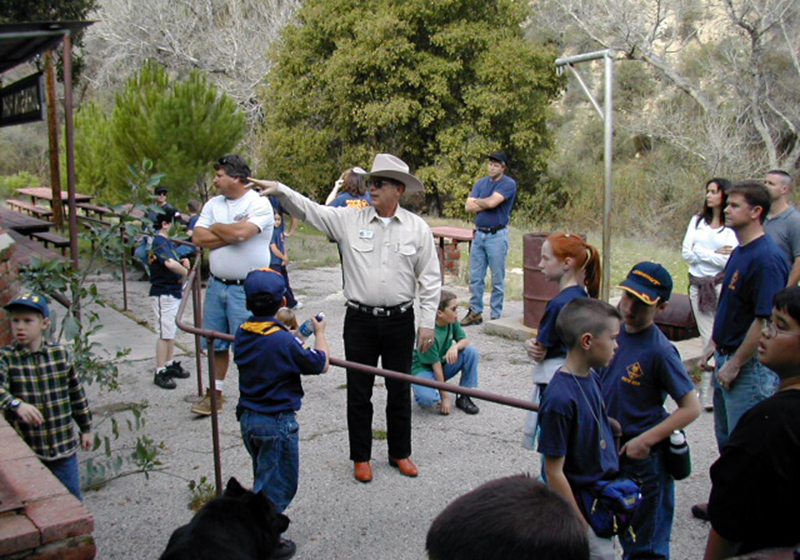 SCVHistory.com | Pico Canyon | Duane Harte Leads Cub Scout Pack 490 on Tour of Mentryville, 2004. 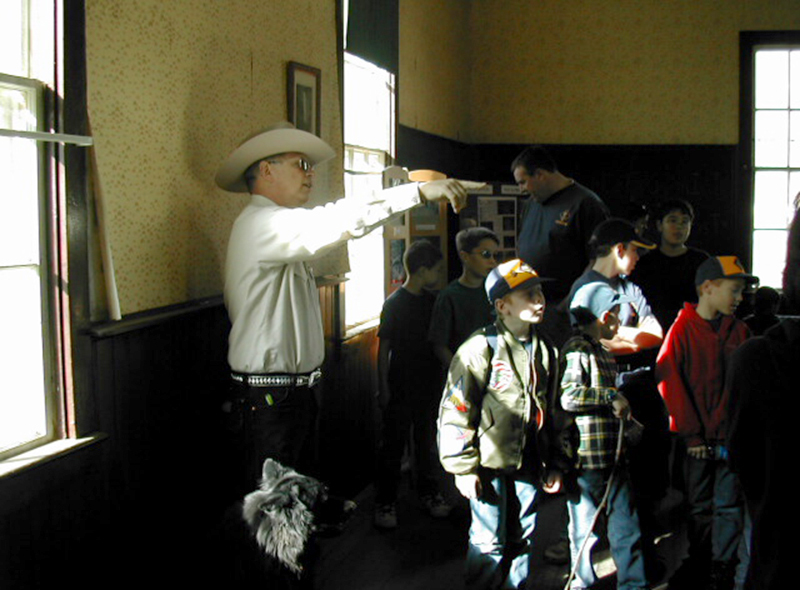 Volunteer docent Duane Harte of the Friends of Mentryville leads Cub Scout Pack 490 on a tour of the historic Pico Canyon oil town, on or about November 17, 2004. 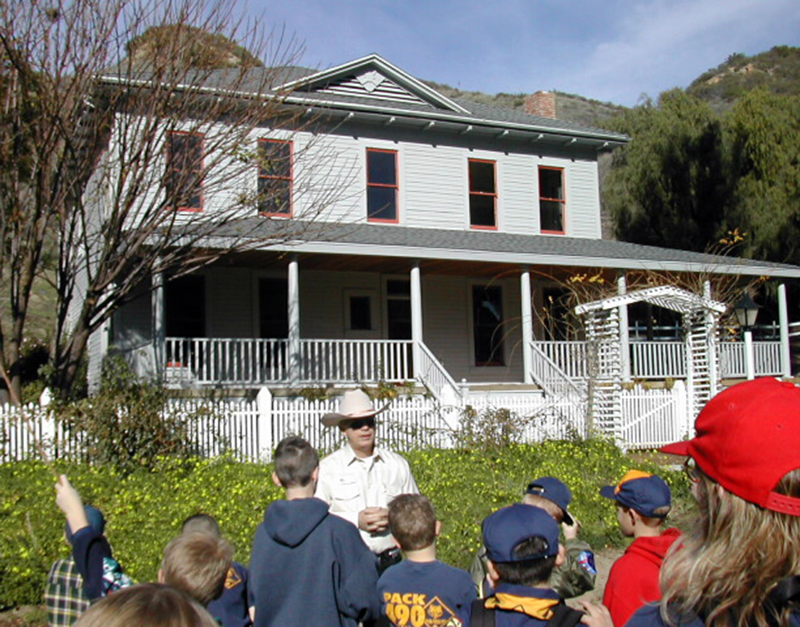 Shown: Pico Cottage (Alex Mentry's 13-room mansion); Johnson Park; Felton Schoolhouse. Photographer unknown. 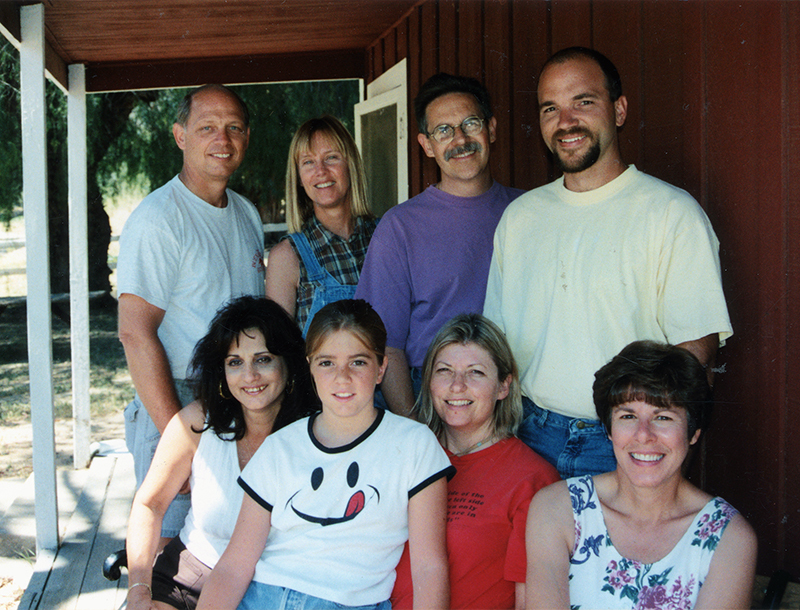 Fourth photo: Mentryville docent group (partial), 1997. 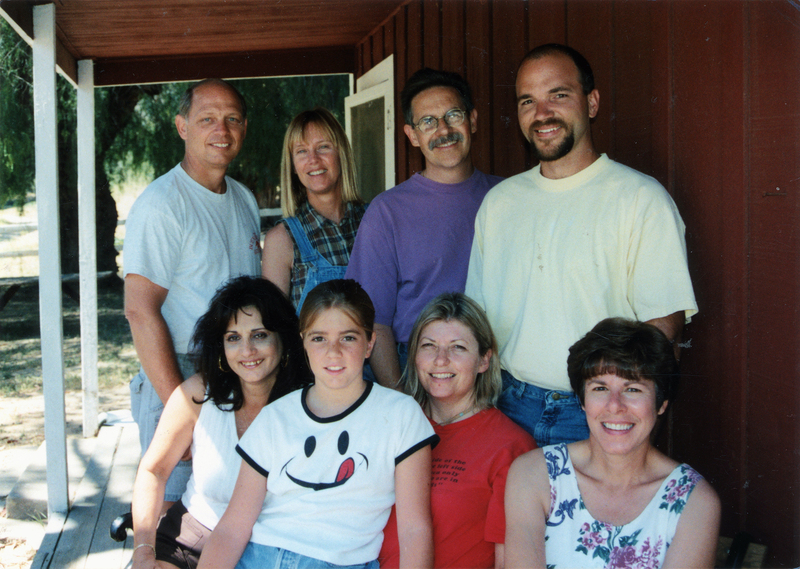 Photo: Leon Worden. LW2843: 9600 dpi jpegs from smaller jpegs.